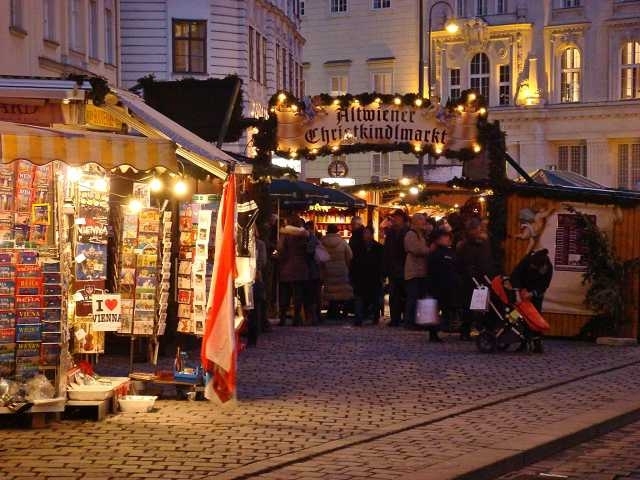 Christmas Markets on the Danube – The Great Canadian Travel Co. Enjoy the festive atmosphere from Vienna to Nuremberg and all along the legendary Danube on this enchanting Christmas Markets river cruise. Prices are shown in CA$, per person based on two people sharing a double cabin. Single prices are available on request. Prices listed are regular prices and do no include adjustments for special offers. Adjusted prices will be quoted at the time of your inquiry and are dependant on the date of booking and availability of cabins. Embarkation today no later than 5:00pm. 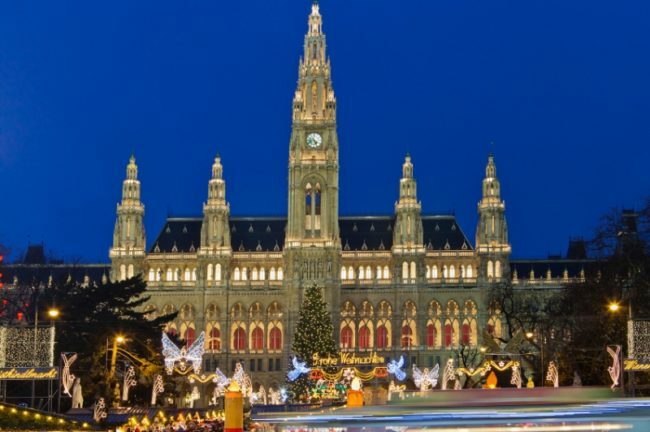 Once the centre of the mighty Habsburg Empire, this is home to the lavish Hofburg Imperial Palace complex with its Vienna Boys’ Choir and dazzling Lipizzaner stallions; the neo-renaissance Vienna Opera House; and awe-inspiring St. Stephen’s Cathedral—plus, countless other sights you’ll see on your guided tour. 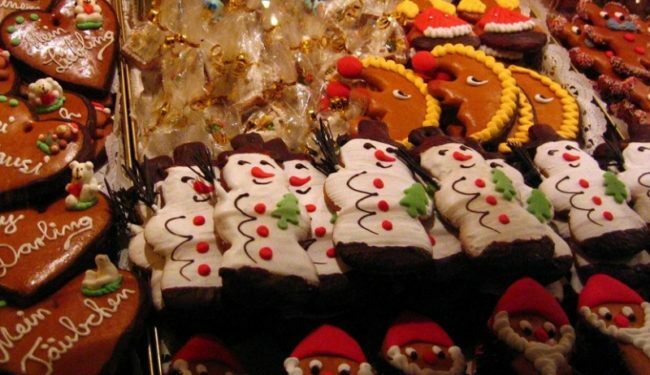 Visit the delightful Christmas market and savour the sounds and smells of holiday cheer. Be sure to enjoy a piece of decadent Sachertorte or Apfelstrudel in one of the classic coffee houses, historic institutions that helped shape Viennese culture! An optional concert is available tonight. 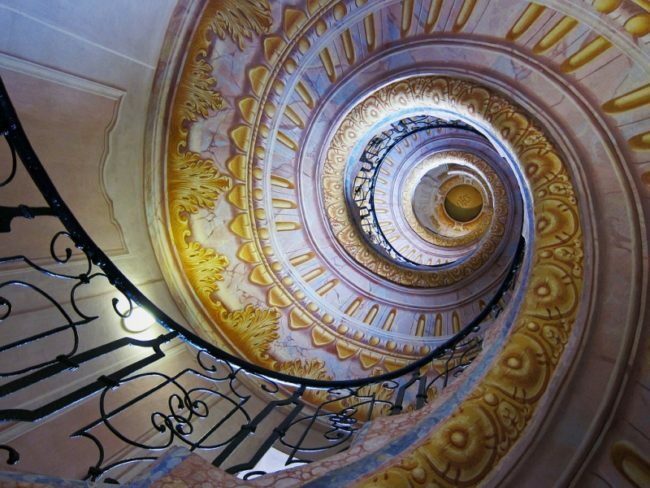 This morning, arrive in Krems where a local guide will take you on a walking tour. During lunchtime, sail through the picturesque Wachau Valley, a Unesco World Heritage Site. Pass the magnificent baroque Stiftskirche with its blue façade, the landmark of Dürnstein, before arriving in Melk in the early afternoon. The magnificent 11th-century Benedictine Abbey dominates the town and is one of Europe’s largest monasteries. 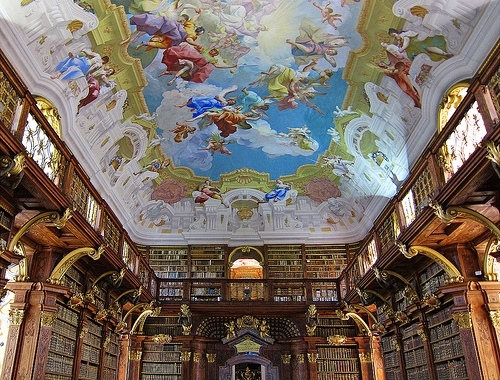 The abbey houses an ornate library with over 80,000 printed books and 2,000 manuscripts. You’ll be captivated by the splendour of the church with its frescoed ceilings. This evening you’ll be able to sample some of the famous wines of this region. Prague is a 1,200-year-old city preserved in time. See its Astronomical Clock, built in 1410 and once the envy of all of Europe; Hradčany Castle Grounds; St. Vitus Cathedral; and the Charles Bridge, the oldest bridge in Prague. Browse the Christmas market’s brightly decorated wooden huts, which sell Christmas ornaments and decorations, handcrafted wooden toys, and other Czech crafts. Get a little inner warmth with a cup of svarene vino (hot mulled wine) and a traditional hot sausage. The beautifully decorated Christmas tree in the Old Town is an impressive sight. Be sure to sample the Glühwein, Lebkuchen, and other traditional holiday specialities featured at the colourful, fragrant Christmas markets! Other highlights include a guided visit of the amazing Benedictine Abbey in Melk, a wine tasting, and fun beer tasting. What a fantastic way to start your holiday season! In the event of water level problems or any problems of a technical nature, it may be necessary to operate the itinerary or portions of it by motor coach or to alter the program, without advance notice. Included visits and special features are subject to change. If a change becomes necessary, a substitute will be offered. Don’t miss a truly magical evening in Vienna, featuring the most famous opera Arias by Mozart, Strauss Waltzes, polkas and operetta excerpts from “Die Fledermaus” by Johann Strauss, “The Merry Widow” by Franz Lehar, the Blue Danube waltz, the Radetzky March and many others, performed by a brilliant cast of top European singers, beautifully costumed dancers and the Original Wiener Salon Orchestra. A true celebration of joy and optimism featuring familiar music, combined with dance and storytelling that recalls happy memories of a time when music helped to shape the city of Vienna: a city of world-class artistry and a true flair for celebration. Approximate cost €62 per person. Schonbrunn, the former summer residence of the Imperial family, is considered one of the most beautiful baroque palaces in Europe. The Habsburgs resided here for the better part of the year in numerous rooms to house the large Imperial family. Emperor Franz Joseph, who later married the enchanting Sissi and reigned from 1848 to 1916, was born here in 1830. The monarch spent his last years entirely in the palace, which became the property of the new Republic of Austria only two years after his death. Today, the palace is part of UNESCO’s cultural heritage due to its historic importance, unique grounds and splendid furnishings. Follow our local expert and visit Empress Sissi’s former summer residence, and admire the Imperial Christmas Market in front of the Palace. Approximate cost €54 per person. True, Salzburg is the birth-place of Mozart and you will find the face of the city’s most famous son everywhere. Salzburg is also the setting for the Sound of Music movie, which has shaped the city’s perception in the minds of generations. But Salzburg is much more. 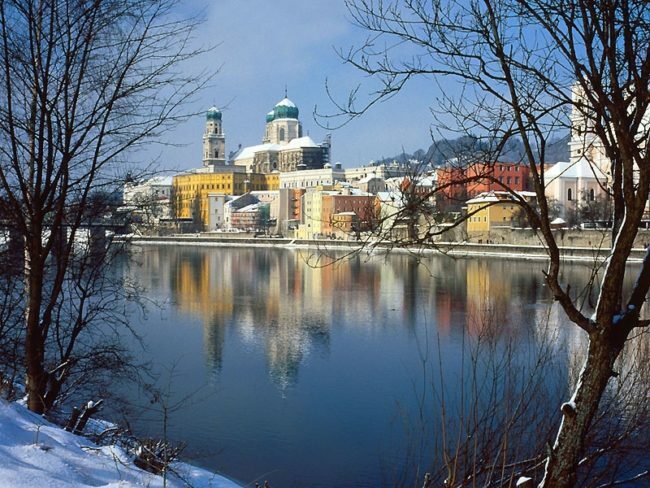 It is a city with history based on the salt trade from the nearby Alpine Mountains-a city of beautiful baroque buildings, nestled between the mountains and green waters of the Salzach River. Salzburg has a long cultural heritage and in the small busy lanes like the “Getreidegasse” with its wrought iron signs you might get a feeling of how busy this city always was. Today we would like to show you Salzburg and its past; as well as teach you some Austrian customs. We will stop in Oberndorf to see the chapel where the world’s best- known Christmas carol was performed for the first time. 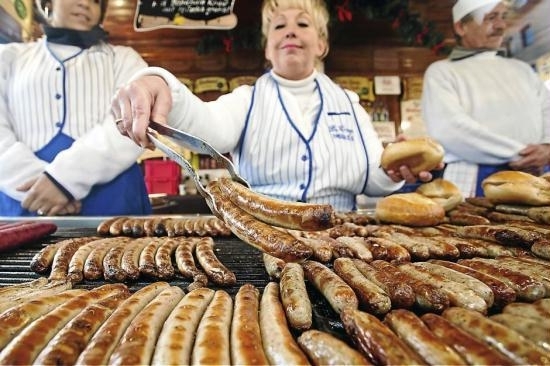 Finally let our local experts take you on a little tasting of Austrian pre-Christmas specialities. Find out what it takes to be Austrian and to live in this country today, and how we celebrate Christmas. Approximate cost €74 per person.